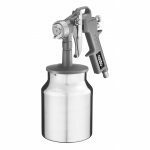 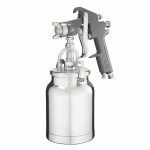 The Suction Feed Spray Gun is ideal for general purpose spraying. 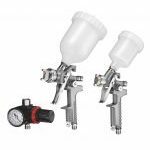 The 1.5mm nozzle is suitable for use with paints, top coats and sealers. 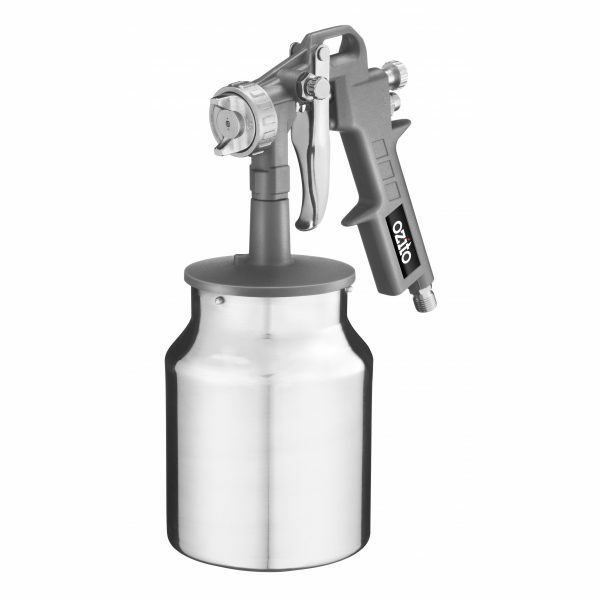 With a 1000ml paint pot, you can work for longer without having to stop to refill. 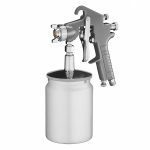 Material dispersion is easily controlled with the spray regulator and fan adjustment dials, giving you ultimate control. 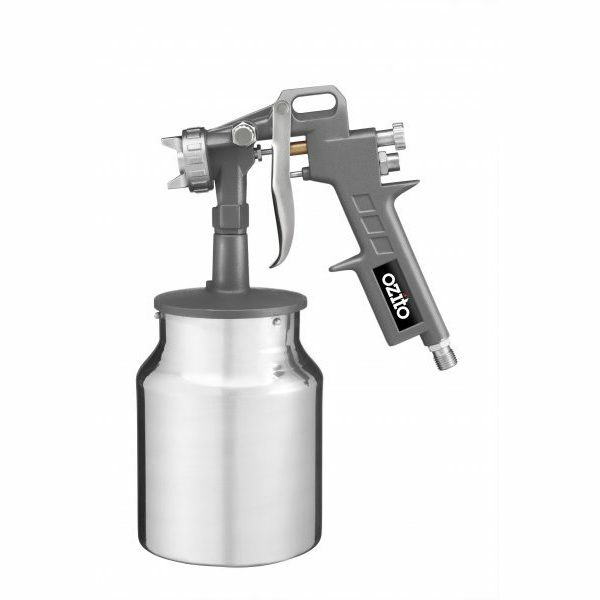 An air compressor with a minimum delivery rate of 85 litres per minute is needed to run this spray gun.